We, the Central Florida International Black Women’s Congress, Inc (CFIBWC), a 501C3 non-profit organization have adopted the Midway Safe Harbor youth in Sanford, Florida for the upcoming holiday season to provide gifts for their Angel Tree Project in December. It is with delight that we invite you to help bring joy to our youth by helping us fulfill our goal to provide gifts for 209 youth (grades kindergarten thru 12th grade). In 2012, unlike previous years none of the youth were adopted for the holiday season. In some cases the gift(s) from the Angel Tree Project will be the only gift(s) the youth may receive. These youth require encouragement, attention, and a special sense of caring to let them know that they matter, they are loved, and they can achieve. In Sanford, Florida the Midway Safe Harbor Center provides services 365 days a year and has become a hub for the community, offering education and recreation for young and old alike. Midway is a predominantly black and a diverse community of nearly 2,000 residents east of Sanford and just north of State Road 46. 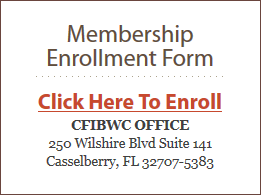 The CFIBWC is a non-profit organization providing educational, cultural, and social-recreational programs to the economically disadvantaged and under-served families in Central Florida to enhance their quality of life. We are excited to contribute to the building of our youth’s self-esteem through the act of giving and we need your help to make sure each child at the Midway Safe Harbor Center receives an Angel Tree gift during the holiday season. A festive Angel Tree program will be held in December at the Midway Harbor at which time the gifts will be distributed. We would appreciate your favorable response of support with donations by December 1st. Upon your response of support your business will be listed to be acknowledged as sponsors during our community event and listed in any local media coverage and/or promotional material. We have attached an example of the wish list and the corresponding grade level with the number of youth for your support. A contribution of $2,500 will provide gifts for all of the youth but any amount will be appreciated and checks should be made payable to the CFIBWC. You may also contribute gift cards for one or more grade levels to shop at a department store, online merchant or restaurant. The mailing address is 250 Wilshire Blvd., STE 141, Casselberry, Fl 32707. We understand that you may have been approached by many organizations, but please make room for just one more worthwhile sponsorship to help us bring some joy to our youth during this festive season. We cannot let our youth down again during this wonderful holiday season of giving. Join us in making the difference. If there are questions please contact us at 407-331-5665 or via email cfcibwc@aol.com. Thank you for your support.